The months seem to be going way too fast lately! Like June, July flew by. Heck, its hard to believe that we are already into August. Of course with another month wrapping up, that means its time for us to share the best things we ate during the month of July! So what are we waiting for? 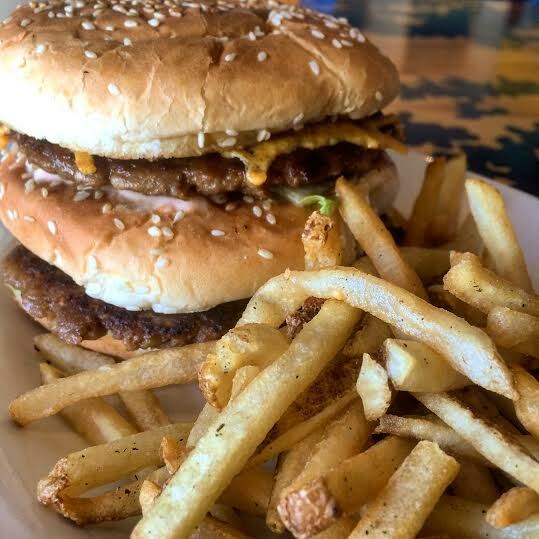 Green New American’s Big WAC- The Big WAC is two hand packed vegan patties, special sauce, lettuce, cheese, pickles, onions on a sesame seed bun. This burger is literally comparable to a regular burger! It is loaded with flavor and is better than anything that comes from the golden arches. There was discussion of it at GWE Headquarters for over a week! After having this burger, it is obvious why Chef Damon was featured in Phoenix Magazine’s BBQ issue! The Thyme Fries at Green are also amazing! 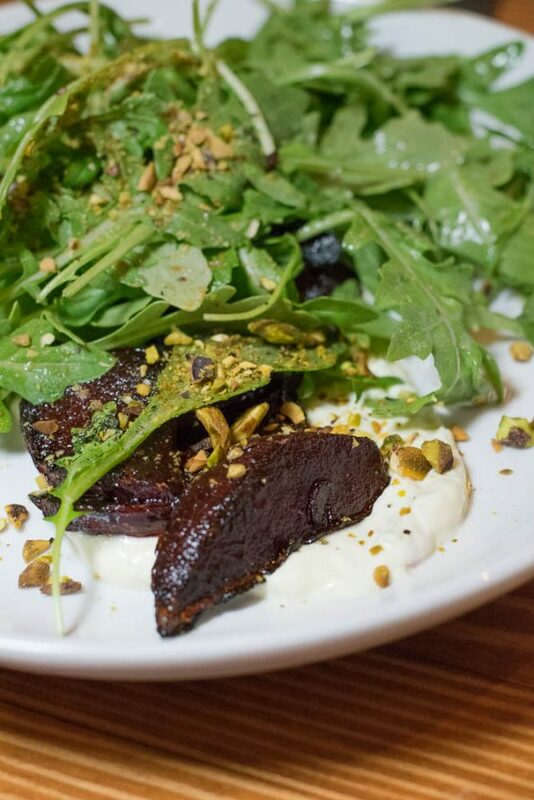 Wink 24’s Roasted Barbabietole– These fire-roasted beets served over a bed of arugula and spicy yogurt sauce were just one of the many delicious things we tried at Wink 24. The house made yogurt sauce has finely diced serrano peppers added in giving the earthy beets some much needed acidity. The biggest reason these beets made the cut is because normally we detest beets and with these, we couldn’t stop eating them! Water Chestnut’s Ramen- Arcadia’s newest ramen shop proved it had the chops to hold up against the local ramen competition this month. Their Pork Shoyu Broth is the stuff of dreams! 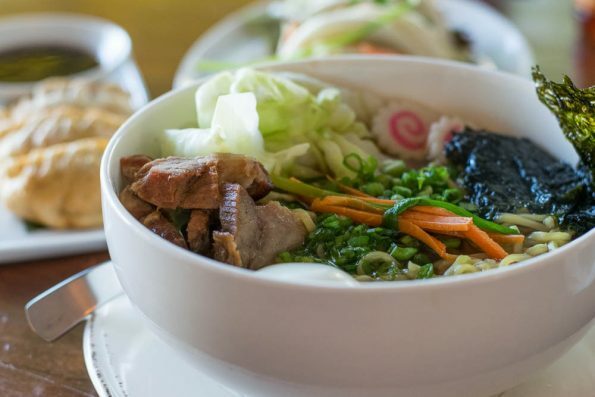 Its salty and flavorful, exactly what you want from a ramen broth. The house ramen noodles are also truly fantastic, not too mushy but not too chewy either. 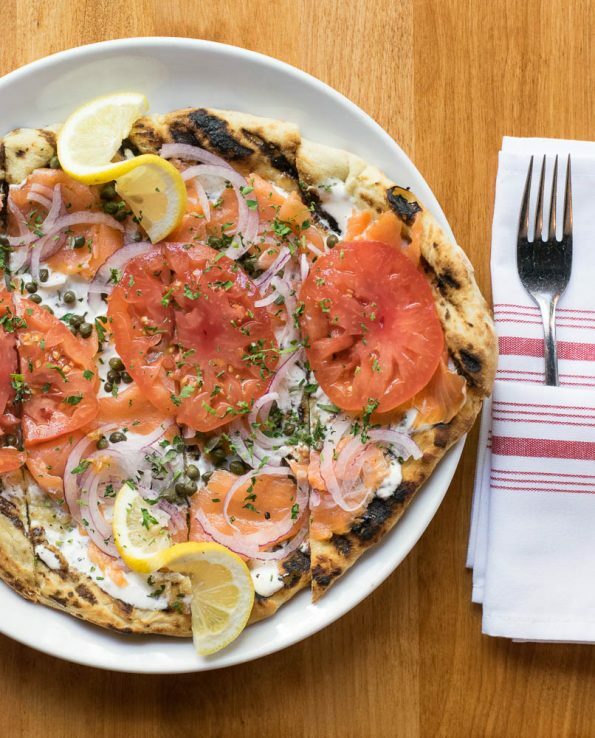 Caffe Boa’s Nova House Flatbread- A breakfast flatbread with smoked salmon, crème fraîche, heirloom tomatoes, capers, and red onion? Yes please! Served cool (intentionally), the Nova House Flatbread is like a combination of a bagel and leftover pizza (not in a bad way). It is definitely the choice if you are wanting a bagel and lox but want something a bit heavier. The capers bring this flatbread to the next level! So that’s another month of eating wrapped up! Where did you eat in July that you thought would absolutely fantastic? We want to hear all about it! Leave a comment below or use the hash tag #GeekEats. Maybe your recommendation will make next month’s list! Until then, Happy Eating!